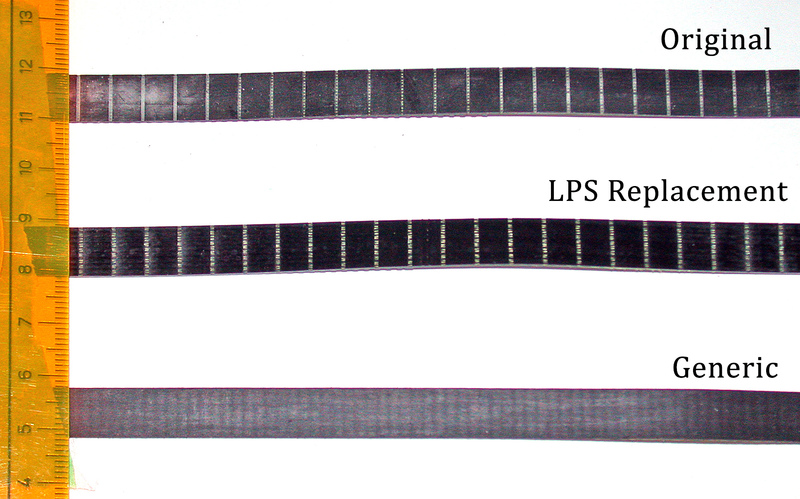 I recently had to replace the Scan Axis Drive Belt (otherwise known as the carriage belt) in my HP Z3200 Photo Printer. I use the printer several times per week, but the print volumes I do are relatively light, so the belt did not “wear” out. 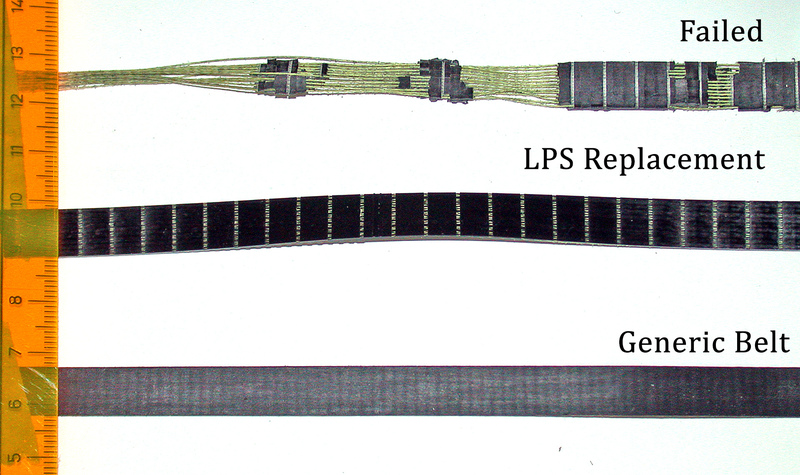 Instead, the elastomer (rubber) component of the belt which binds the Kevlar strands together began to deteriorate and eventually disintegrated completely. Not only did this affect the Scan Axis alignment (see first image below) but it also left innumerable rubber crumbs throughout the paper path. I successfully replaced the belt and cleaned up the paper path and internals with a minimum of trouble, as well as replacing the noisy (howling) power supply fan. I should point out that I do have considerable background in mechanical/electronic repair (former Xerox Tech). 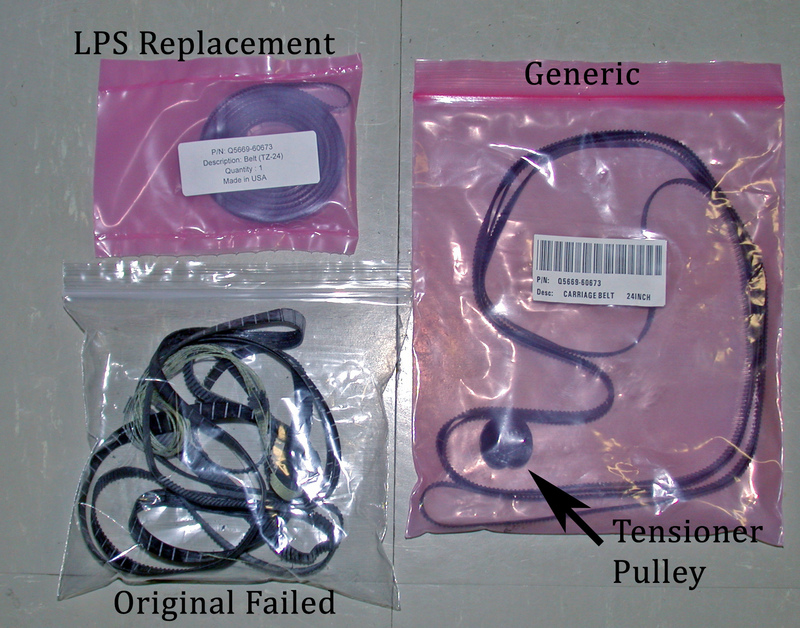 There is a video available on YouTube which details the entire mechanical process of replacing the belt, so if you need to do this, please watch the entire video before proceeding: Z3100 Belt Replacement Video. In particular, pay close attention to which size Torx drivers you will need (all detailed in the video) and the advice given about purchasing the belt replacement kit (don’t buy the kit, just buy the belt). The Z3100 Maintenance Manual is readily available via a Google search. 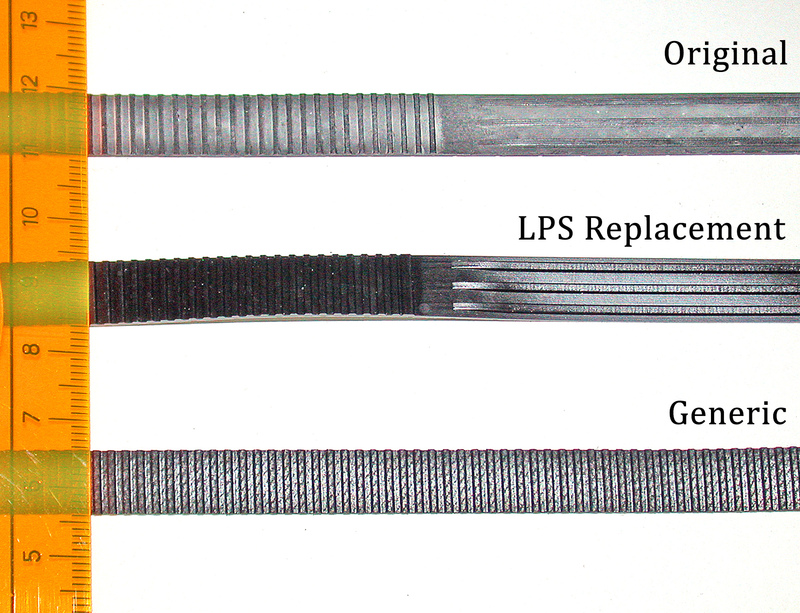 You can purchase the high quality OEM style from LPS here: Z3100/3200 Replacement Belt (I have no affiliation with LPS, I am just a satisfied customer). © Shaun Merrigan and Landscapes from the Heart by Shaun Merrigan (shaunmerriganphoto.net), 2018. Unauthorized use and/or duplication of this material without express and written permission from this blog’s author and/or owner is strictly prohibited. Excerpts and links may be used, provided that full and clear credit is given to Shaun Merrigan and Landscapes from the Heart by Shaun Merrigan(shaunmerriganphoto.net) with appropriate and specific direction to the original content. All Images Copyright Shaun Merrigan, ARR. Contact me for useage information.